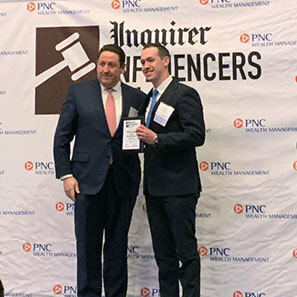 Associate Vince Barbera was named one of The Philadelphia Inquirer’s 2019 Influencers of Law in the category of Rising Star. 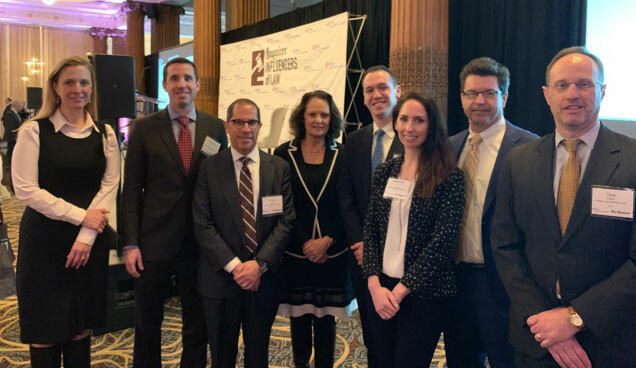 Vince’s accomplishments were celebrated at a luncheon for legal industry leaders on Tuesday, March 26th, at the Crystal Tea Room in Philadelphia. The Annual Influencer of the Law Awards recognizes attorneys and corporate counsel in the Philadelphia region who have impacted the city based on accomplishments in specialized practice, business impact and civic/community services. Winners are evaluated by expert panel judges who felt Vince shaped, changed and transformed the legal industry. Vince is actively involved in the Philadelphia legal community. In 2018, he served as the Chair of the Executive Committee of the Young Lawyers Division of the Philadelphia Bar Association. He currently serves as a member of the Board of Governors of the Justinian Society. Vince was also selected in a survey of his peers as a Pennsylvania "Rising Star" by Super Lawyers from 2014-2018. We commend Vince for his service to the Philadelphia legal community and his accomplishments. This is the second year the firm’s commercial litigators have been recognized by The Philadelphia Inquirer. Last year, Senior Counsel, David Marion was recognized as an Influencer of Law in the area of Litigation and Dispute.